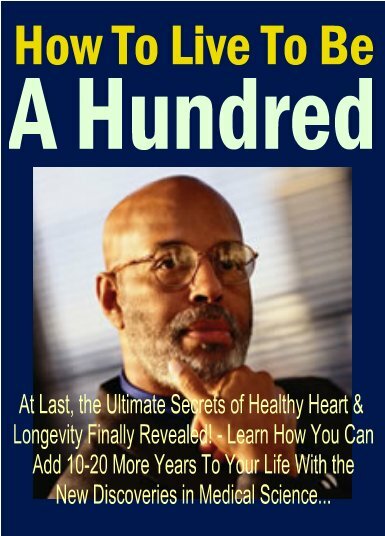 You can live to be 100! You may well ask—"What will this book do for me?" or to paraphrase Ben Franklin, "Can it bring me health (which is really wealth), happiness, and wisdom?" It can, for many reasons. Not all books appearing today—even those written by physicians—come up to this high standard. Many are written merely to entertain, to exploit some medical novelty, or sometimes to enhance the prestige of the author. Medical research has discovered a number of important dietary supplements that not only improve the body's general efficiency and well-being but help prevent hardening and blocking of the arteries—the condition that sets the stage for heart attacks and strokes.